"Right now, almost 1,200 bird species -- one in eight -- are threatened with extinction, and without our help, hundreds will disappear by the year 2100." About a third of the world bird species make their homes in rainforests, which offer moderate temperatures, protective shelter and ample food supply. Unfortunately the rainforests are disappearing. A few thousand years ago tropical rainforests covered as much as 12 percent of the Earth's land surface. Today, that figure is reduced by half, the result of logging, mining, and the clearing of land for human settlements. More than 600 species of rainforest birds are threatened with extinction. Rainforest Bird Rescue profiles projects and people around the world who are working to prevent the loss of these beautiful birds: Somprat Polchoo is head of the Khao Nor Chuchi forest protection unit in southern Thailand, one of the last known strongholds of the critically endangered Gurney's Pitta The Western Canada Wilderness Committee is working to prevent the destruction of the Northern Spotted Owl's habitat in the ancient rainforests of British Columbia The Rainforest Alliance, which encourages farmers in El Salvador to grow coffee in the traditional way -- under a forest canopy that supports wildlife -- is saving precious habitat for the golden-cheeked warbler Richard and Margot Frisius are founders of Amigos de las Ayes, which breeds endangered Costa Rican macaws and releases them into the wild. 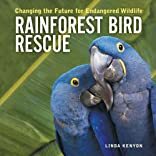 Illustrated with 50 spectacular color photographs, Rainforest Bird Rescue covers the people, the issues and the challenges involved in preserving a future for endangered wildlife. About Linda Kenyon (Author) : Linda Kenyon is a published author of young adult books. 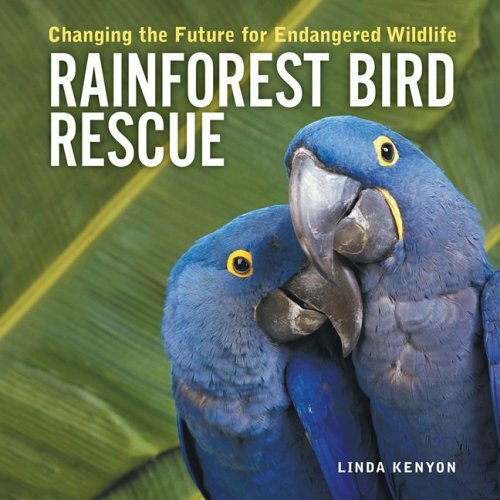 Published credits of Linda Kenyon include Rainforest Bird Rescue: Changing the Future for Endangered Wildlife.